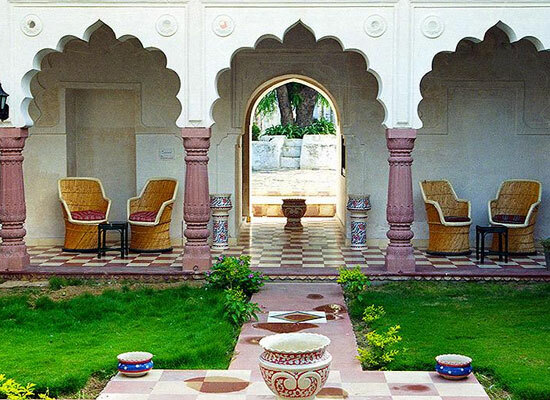 "One of the best heritage hotels in Rajasthan, Abhay Durg in Saipur Fort, is an epitome of vibrant culture and traditional style of living of Rajasthan. 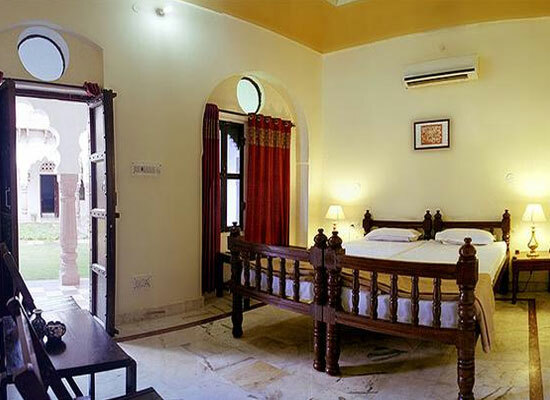 Enveloped by renowned palaces and other local attractions, this property has wonderfully furnished rooms, which are equipped with modern facilities. The environment is clean, serene, and pollution free. The on-site restaurant serves finger-licking multi-cuisine meals, along with best of beverages. The Durg is located at an equal distance from Jaipur and Agra. Guests can enjoy comforts like travel desk, conference facilities, medical assistance, recreational facilities and so on. The royal family of Garhi Sawai Ram came to the Dausa region from a place called Narwar (near Gwalior). Around the year 1655, the son of Ram Kumar Ji, Shri Mukund Das Ji came to power and built atop a hill. This fort was his residence. 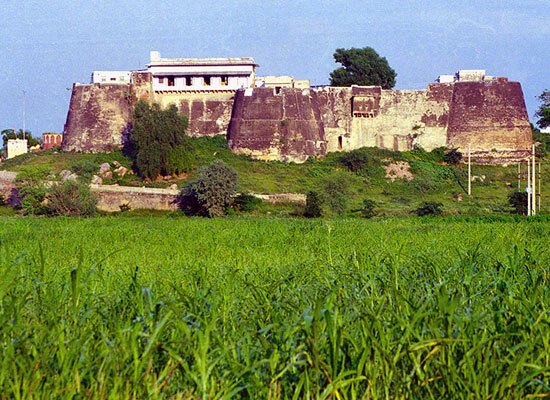 Today, the fort is known as Fort Garhi. Later, in the starting of the 19th century, Kan Singh, the crown prince of Fort Garhi captured a ‘Meena’ republic. This place was 10 km away from Fort Garhi. In 1805, he constructed a fort there and named it ‘Shahipur fort’. Thereafter, in the year 1935, the fort was renamed ‘Abhay Durg, Saipur’. During monsoon and summer season, the fort was the favorite residence of Raja Saheb Karan Singh ji and his successor Raja Saheb Bhawani Singh ji. Abhay Durg hotel has 10 well-furnished and air-conditioned rooms, featuring all the modern facilities and amenities. The décor of the rooms is wonderful too. Enjoy round the clock room service from the 24-hour pantry. The attached bathroom features a bathtub, hot/cold water, shower, and other complimentary toiletries. At the on-site restaurants, the guests can savor lip-smacking delicacies of authentic Rajasthani food and Continental fare. There is a round the clock pantry service. The skilled chefs prepare high-quality food. Enjoy the impeccable services of the staff. Located on the Jaipur-Agra National Highway, Dausa is a beautiful, peaceful town of Rajasthan, known as an amazing off-beat destination. 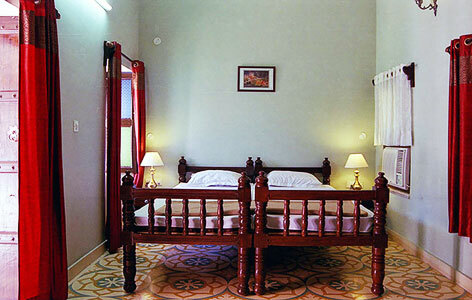 The place is dotted with several attractions and offer you a chance to partake in a number of recreational activities. Dausa is also known as Dev Nagari. Abhaneri, Bhandarej, and Mehandipur Balaji Temple are the popular nearby attractions.